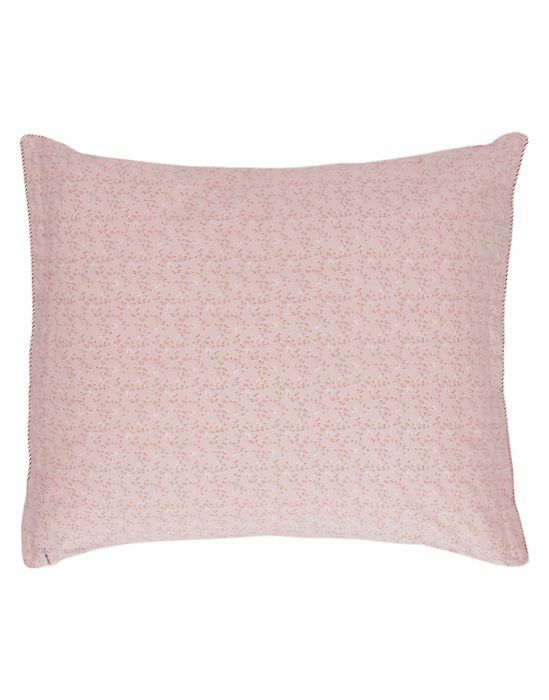 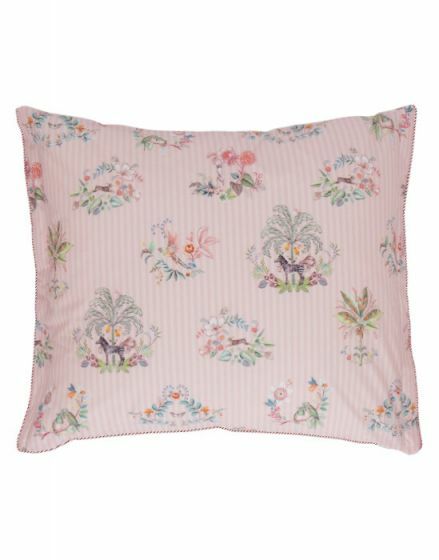 This pillow case is decorated with the Boasin design: colourful flowers and exotic animals against a striped background. 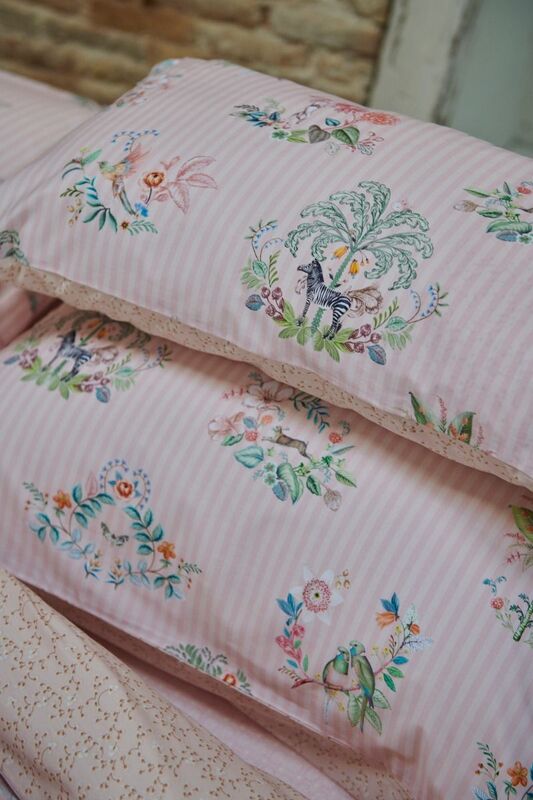 The back has a print with small branches adorned with white flowers and the edges are finished with red and white striped piping. 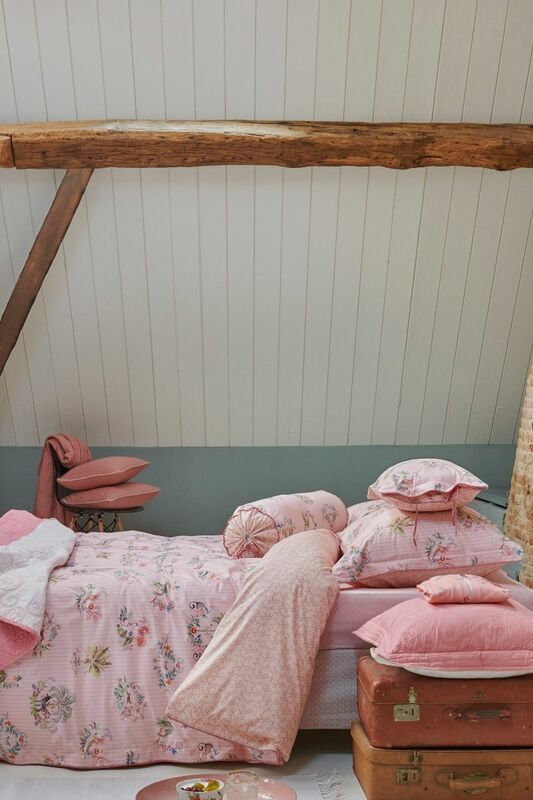 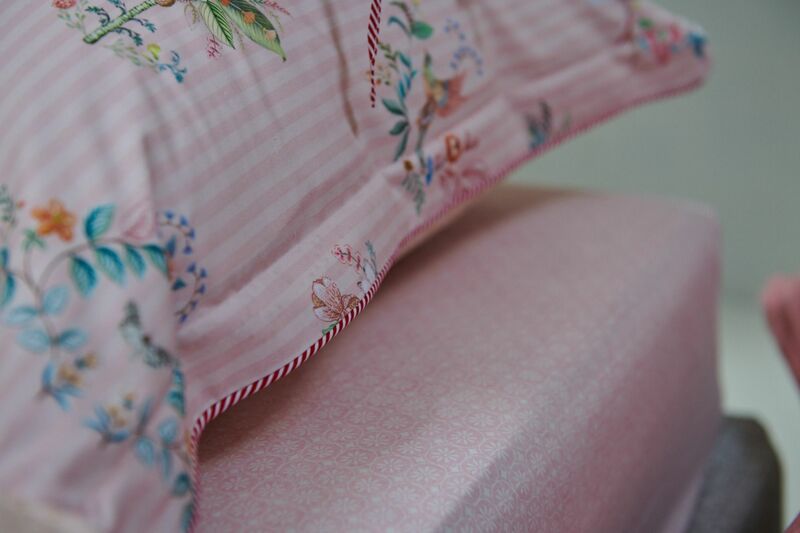 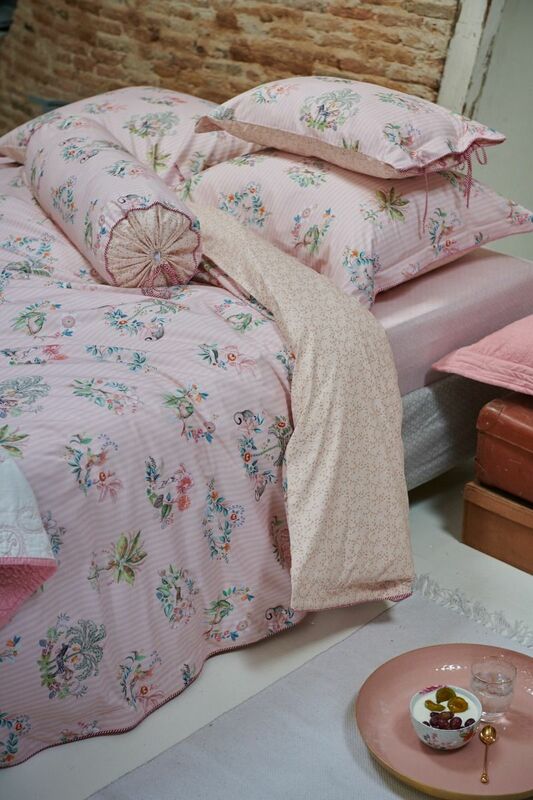 Great for combining with the duvet cover and cushions in this collection.